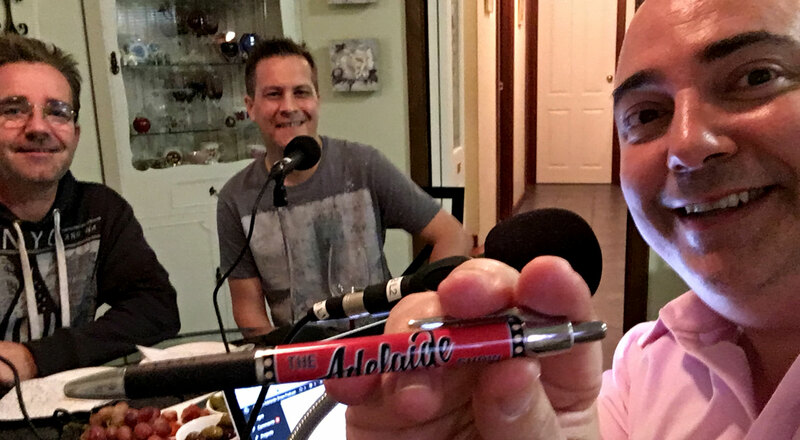 143: Can soccer make Adelaide United? 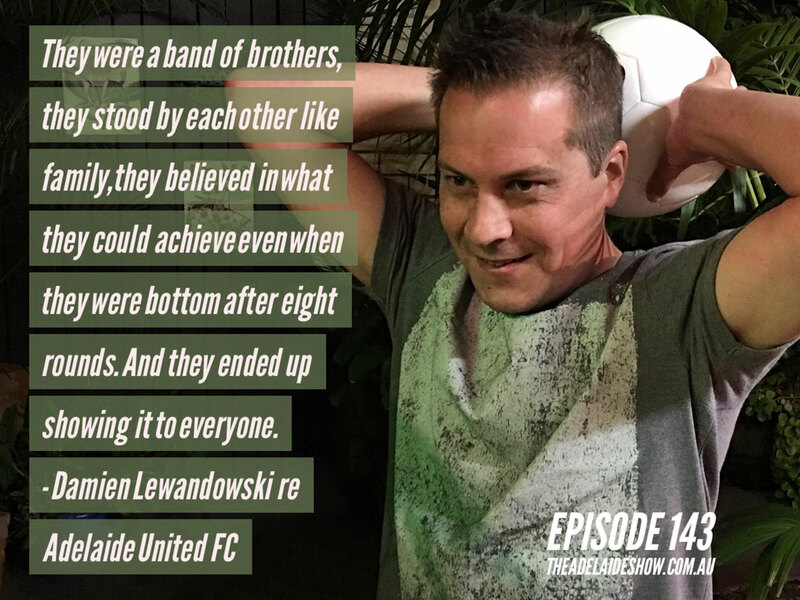 Damien Lewandowski is a man who writes about soccer aka football ‘from the stands’ and has been a faithful scribe of reigning champions, Adelaide United. You can find him on Twitter by searching for @DamoAdelaide but tonight he’s here to take us under and behind the stands so we can grow our love for ‘the beautiful game’. 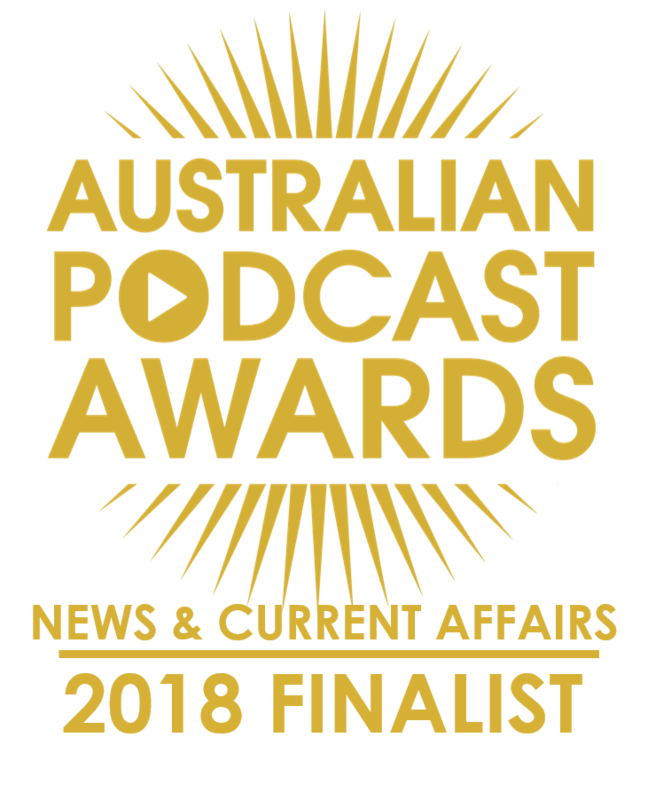 We learn about the emotional journey of Adelaide United’s championship season, the beauty of the offside rule, and the hopes surrounding the burst of new fans who poured out to see United finish the season in style. Music is Sam Brittain with a new song released last week. The SA Drink Of The Week is from Sabella. In IS IT NEWS, Nigel tests Steve and Damien on soccer. Max Martin’s Made to Move Minute: A review of the literature relating to concussion and the heading of balls in soccer. We have two wiley defendants before the Adelaide Visa Council. But first, David Washington from InDaily with his midweek news wrap, Talk Of The Town. You can find him on Twitter by searching for Damo Adelaide but tonight he’s here to take us under and behind the stands so we can grow our love for ‘the beautiful game’. The news history quiz with Nigel Dobson-Keeffe. Read the stories. And our song this week is Stab In The Dark by Sam Brittain, selected by our musical curator Dan Drummond, from iSA Radio, an online station streaming independent South Australian music 247.